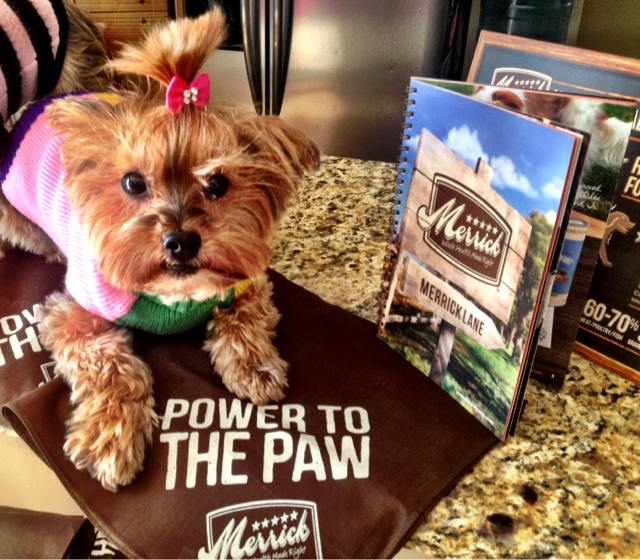 Merrick Dog Food - Power to the Paw! Everywhere you look nowadays people are becoming more cautious and health conscious about what they eat - as they should. I'm excited to say that the same can be said about many dog food companies. 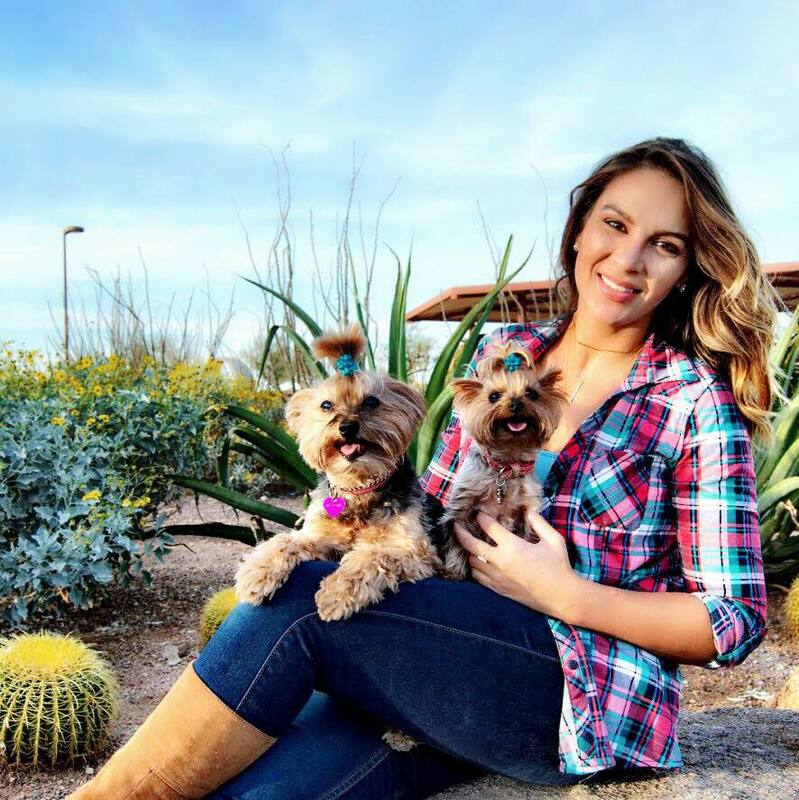 I may not always read the labels on what I eat, but when it comes to my furbabies, I read the labels and I have my phone in hand to research any ingredient I don't recognize just so that I am aware of what it is. But guess what? If I cannot pronounce it and haven't heard of it, I'm not feeding it to my dogs, would you? 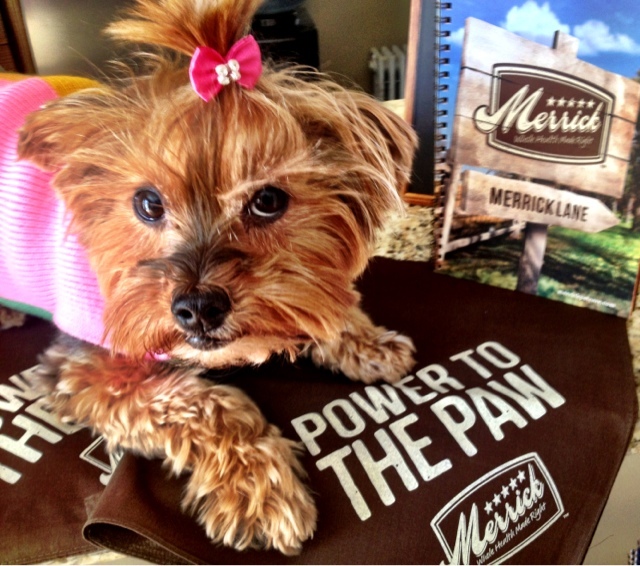 Now something can have a great name but not taste great but my dogs LOVE Merrick pet food! What's not to love about whole foods from local growers that is part of a balanced nutrition? Merrick uses no ingredients from China, which if you're in the news last year there were several recalls for pet food processed in China that resulted in deaths of many animals. SCARY. Merrick uses no generic fat sources and no meat by-products. A special bonus? You can read, pronounce, and understand their ingredient list. What does this mean? It means I trust it to feed it to my dogs. Plain and simple. 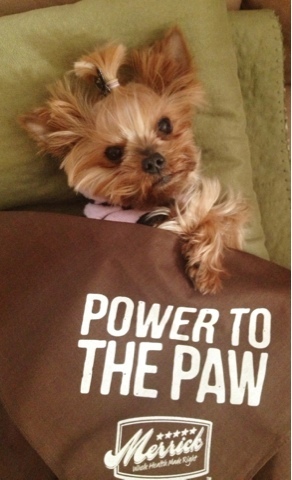 Food for your pet should be nutritious and act as a fuel, not a filler. I challenge you to go and grab your pets bag of dog food and read the first two ingredients, one is a corn filler isn't it? Merrick's dry recipes lead with 60-70% meat, poultry and fish ingredients. As it should! 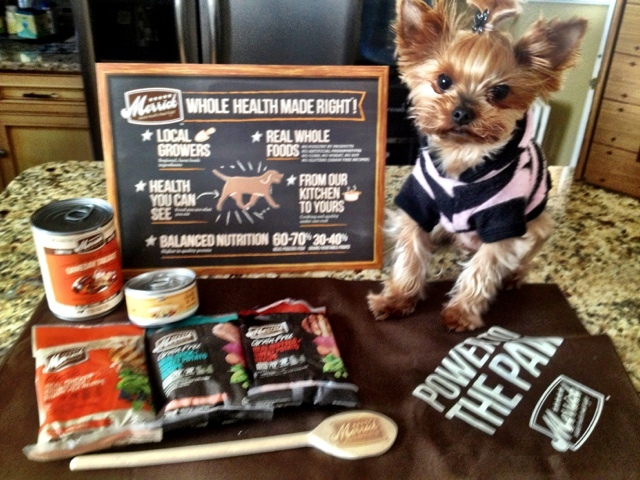 You can expect Merrick's 100% Health Promise by switching your pets food. 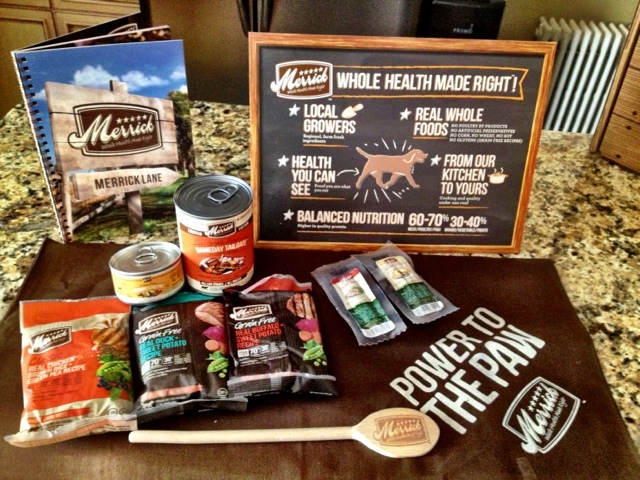 Give Merrick a try, their 100% health promise means that if you and your pet aren't completely satisfied you get your money back! Till the next blog post fur friends!